Clair joined the Foundation with over 20 years’ experience in the charity sector, primarily working with new and developing charities. From this, she brings a wealth of knowledge, as well as experience of working in business administration and finance. Clair has previously worked with local services to develop front line mental health support for children and young people, as well as managing a county-wide team of volunteers to implement new services to support the bereaved. 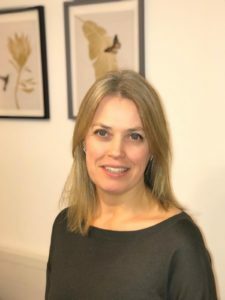 Having previously been instrumental in gaining funding for service provision she is excited to be in a position to support projects and individuals through the Foundation’s grant programmes. As an active volunteer in a variety of service, Clair’s present interest is in developing support for an ageing population to overcome isolation and loneliness in her local community.